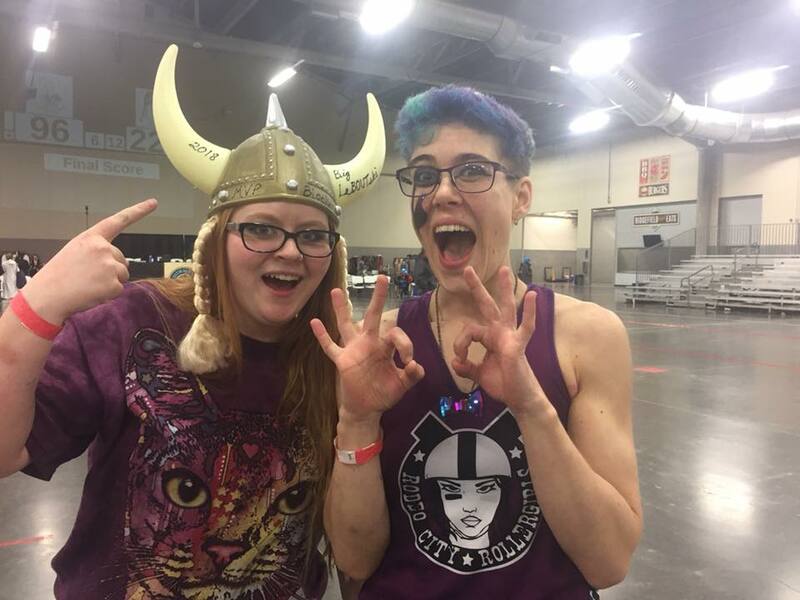 Your Rodeo City Rollergirls traveled to Vancouver, WA to play in the Big LeBOUTSki Tournament on Saturday, February 17th. 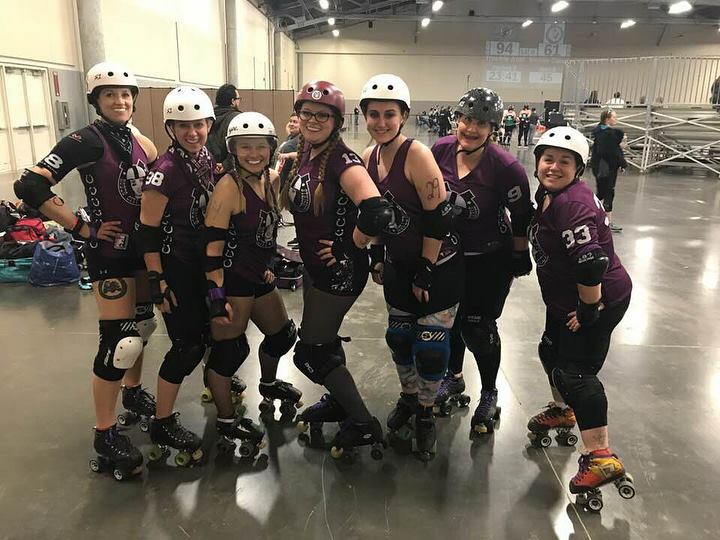 They took fourth place after two hard fought bouts while skating short. Hula C Nation who is not pictured here took overall MVP blocker in the tournament. Way to go, Hula! Pictured are Ginger Smack and YoYo Mauler who collected her award for her.